Releasing music for well over a decade now, Donnacha Costello has frequently proven himself as an electronic producer of considerable talent, delivering music for such labels as D1, Force Inc and Mille Plateaux. In fact, his 2001 release on the latter label, Together Is The New Alone, is something of an oft forgotten masterpiece. 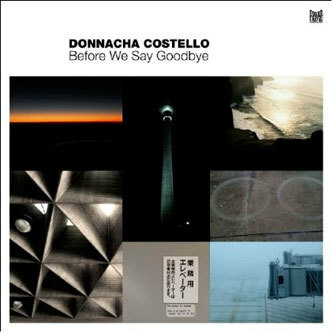 Before We Say Goodbye is more in-keeping with Costello's recent, techno-based preoccupations however, taking cues from the classic, formative sounds of the genre. You'll hear the impact of Detroit and Chicago running through these tracks, but also the influence of classic Warp-style ambient textures, as heard on the analogue drifts of 'With Me Still' and the enveloping closer, 'Last Train Home'. Costello uses only a small amount of equipment to make these tracks, almost all of which is vintage (Roland SH-101, Prophet 5 Rev2 and NED Synclavier II) with only the drum programming receiving any sort of digital attention. The outcome is an incredibly physical sounding record that's full of big, plumped up tones. Costello digs deep with the bass and kick on 'A Warm Embrace' while 'It's What We Do' positively glistens with analogue melody, and 'Stretching Time' channels mid-tempo acid perfection. Before We Say Goodbye is a thoughtfully sequenced and finely pieced together album, but perhaps above all else it's a great celebration of sound, proving that electronic dancefloor soundtracks needn't be so caught up in the latest technology. Recommended.